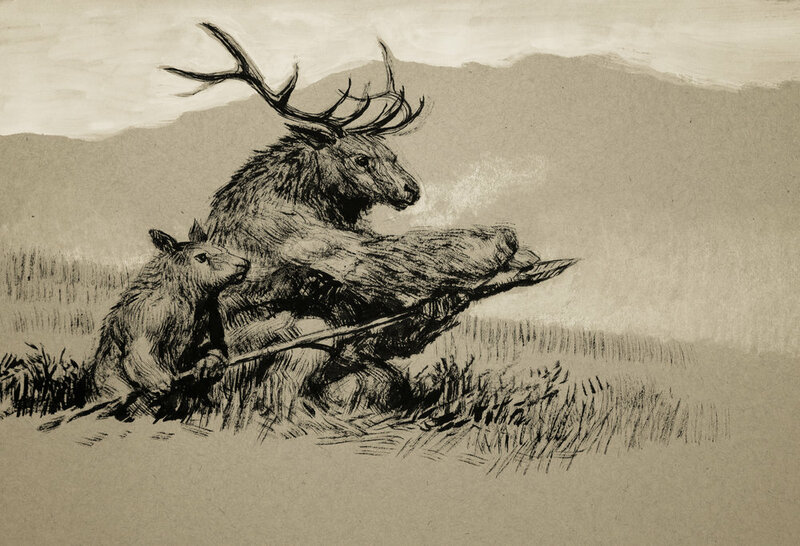 Nomadic tribes of humanoid ungulates inhabit the world of Frontier Fantasy. They have Stone Age technology but no spoken or written language. They have complex traditions but no advanced culture. The tools and weaponry of the ungulate tribes are fashioned from natural material. They don't wear armor or clothing, but have the ability to weave baskets, packs and cords; essential for a nomadic lifestyle. 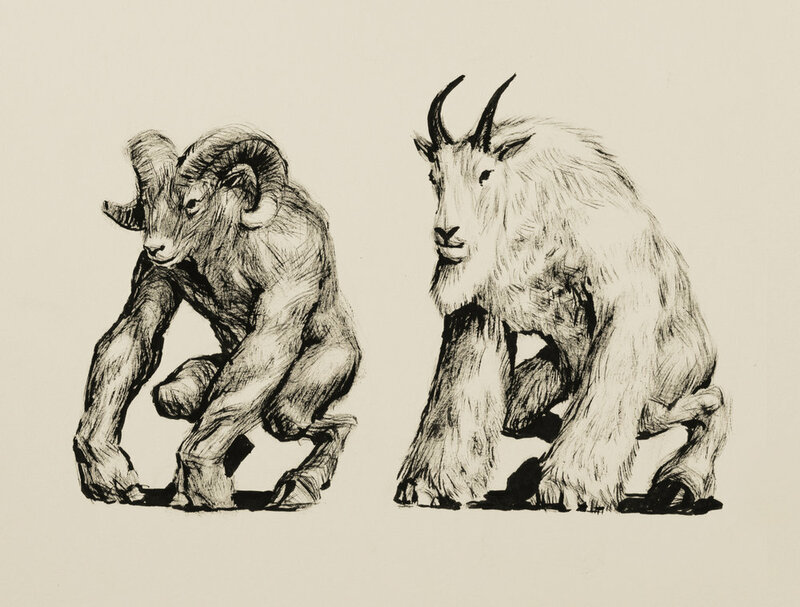 Each of the ungulate tribes in Frontier Fantasy is a discrete species, and since no human has yet been able to communicate with them, their name for themselves is unknown. 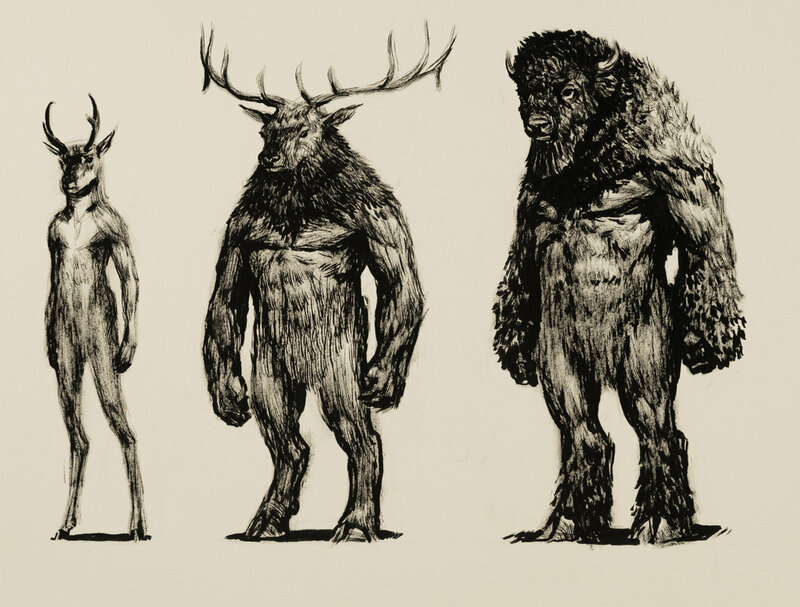 As a whole, they are sometimes referred to as hoof-men, wicha'thasakeh or, farther west, iwinsh'asu. However, the native people rarely refer to them as a whole in this manner, finding it more useful to have names for each tribe.